The severe loss of photoreceptor cells caused by degenerative diseases of the retina could result in partial or complete blindness . 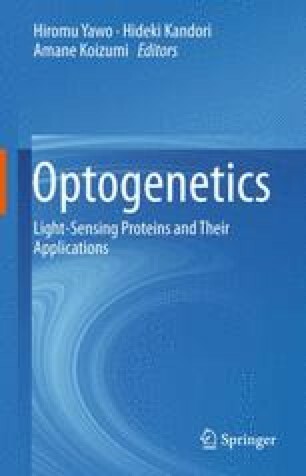 The optogenetic strategy to restoring vision involves genetically converting the surviving inner retinal neurons to photosensitive cells, thus restoring light sensitivity to the retina after photoreceptor degeneration. Proof-of-concept studies in animal models have already demonstrated that it is possible to create photosensitivity in inner retinal neurons and restore visually guided behaviors. Multiple approaches would need to be developed regarding rendering photosensitivity to particular retinal layers or cell types depending on retinal degenerative conditions. For severe retinal degenerative conditions, rendering photosensitivity to retinal ganglion cells might be the only option. This would also require restoring intrinsic visual processing features such as ON and OFF light responses, sustained and transient light responses, and center-surround antagonistic receptive fields to restore vision at the highest quality . Significant progress has been made toward achieving these goals, although challenges still remain.